BK's Appliance is a family owned business that has been providing honest & dependable service to the Bell County area since 1998. We offer exceptional in home or in shop appliance service options. The owner is a experienced professional service repair man that can assess your appliance needs and recommend the most cost effective course of action. 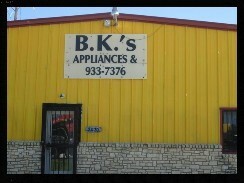 BK's Appliance is your first choice for quality rebuilt washers, dryers, refrigerators, stoves, freezers and dishwashers. All of our appliances are fully tested, repaired, cleaned and backed by a 30 day guarantee. Call to see what we have in stock, our inventory varies. We offer local area delivery service. We stock a variety of new and some used parts and if we don't have it, we have access to an extensive inventory of parts and normally can get it in one to two business days. 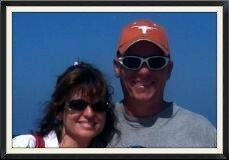 Just Call us with a model # and we will do our best to find the part you need at an affordable price. Call b-4 coming, we may have to step out.